Click to enlargeThe hydro-ecology of the many small arctic lakes is intimately linked with climatic conditions. The timing and speed of lake-ice melt depend on the rate of temperature increase in late spring and early summer, wind, and inflow of basin meltwater and terrestrial heat exchanges (e.g., groundwater inflow, geothermal input, heat loss to maintain any underlying talik). Some lakes in the high Arctic retain ice cover throughout the year, while some thermal stratification can occur in arctic lakes where breakup occurs more quickly. Heat loss from arctic lakes tends to be rapid in late summer and early autumn and often results in complete mixing. Consequently, shallow lakes and ponds will freeze to the bottom over winter. The duration and thickness of lake-ice cover in larger lakes increases with latitude, reaching thicknesses of up to 2.5 m, and can even be perennial over some years in extreme northern arctic Canada and Greenland. In addition to air temperature, the insulating effect of snow inversely affects ice thickness. Any shifts in the amounts and timing of snowfall will be important determinants of future ice conditions, which in turn will affect the physical and chemical dynamics of these systems. 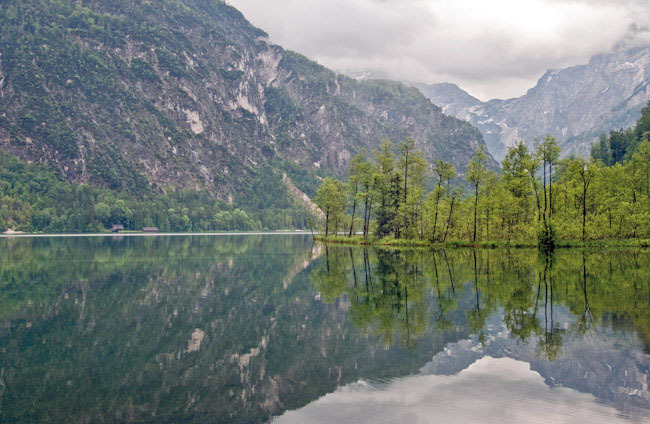 Although lake ecosystems in Northern countries are relatively less affected by human intervention, some lakes have been drastically impacted by acidification, eutrophication, overfishing and introduction of non-indigenous species. 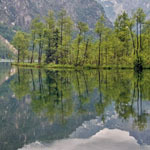 Global change and global warming put a pressure on the ecological state of lakes. A major increase in the world's population in this century will increase the need for agricultural production and water use. This will in lead to higher nutrient loading in agricultivated areas and thus eutrophication. Moreover, global warming show enhanced symptoms of eutrophication. Changes in precipitation affect nutrient loading to streams and lakes. Nitrogen and phosphorus loading is expected to increase in north temperate coastal streams, not least during winter and reduced in warm temperate and arid streams. Despite reduced loading in arid systems nitrogen and phosphorus concentrations may increase due to lower water table in both lakes and streams and higher removal of the lower oxygen pool in the water. Climate change may have profound effect on phosphorus processes in lakes. Higher temperature enhances phosphorus release from sediment due to enhanced oxygen consumption and consequently reduced redox conditions, which in turn result in release of iron bound phosphate. 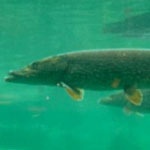 Major shift in fish assemblages is also to be expected with cascading negative effects on the ecological state of lake ecosystem. Degerman E, Hammar J, Nyberg P, Svärdson G. 2001. Human impact on the fish diversity in the four largest lakes of Sweden. Ambio 30: 522–8. MacDonald LA, Balasubramaniam AM, Hall RI, Wolfe BB, Sweetman JN. 2011. Developing biomonitoring protocols for shallow Arctic lakes using diatoms and artificial substrate samplers. Hydrobiologia 683: 231–248. Prowse TD, Wrona FJ, Reist JD, Hobbie JE, Lévesque LMJ, Vincent WF. 2006. General features of the arctic relevant to climate change in freshwater ecosystems. Ambio 35: 330–8.